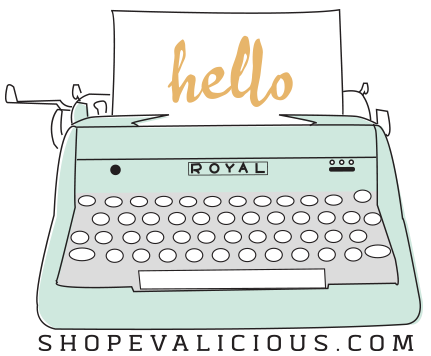 Hi, Evalicious Fans! 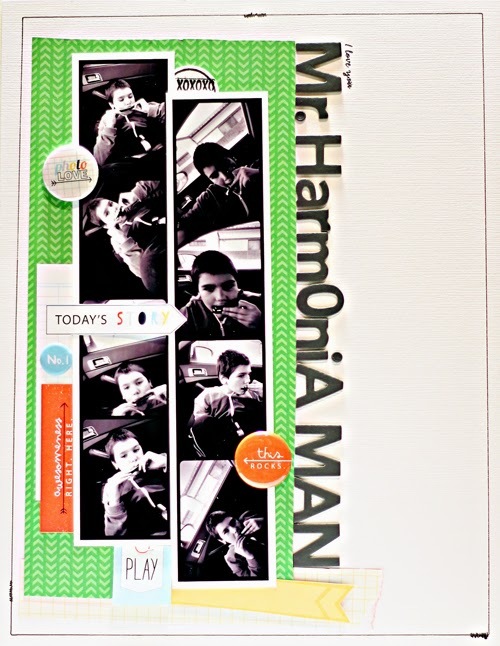 Mandy Koeppen here with an 8.5x11 layout that I hope inspires you to create with your Evalicious product this weekend! This layout is really simple and quick to create. When I say quick like 30 minutes or less quick and we all love quick ? Of course! 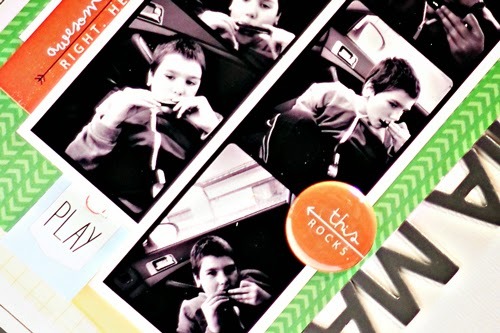 My son has a love for the photo booth app on my phone and I have a love for photo strips so when I saw these photos I knew the Evalicious products would be a fun to use to document my Mr. Harmonica Man photos. 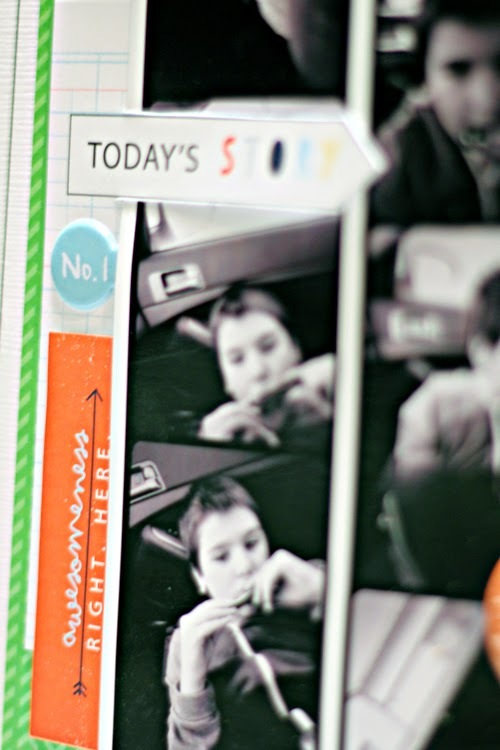 I love the journal cards and the images not them but I'm not a project lifer so I tend to use them on my layouts in different ways life this "Today's Story" tag from the Hello 2014 Large Tags Set . The card really didn't fit the way I wanted it to so I used my craft knife to cut around the arrow them tucked the photo strip into the cutout and added a foam square for dimension. I love the puffy No.1 sticker from the Hello 2014 Miscellany v2 Puffy Stickers but only wanted the circle to show so again I thought outside the box instead of cutting it I tucked it under the photo strips. I think we all love Evalicious badges but I especially love the sayings and images on the Hello 2014 Badges v1. Adding badges to this layout was a great way to break up all those straight lines. In this detail shot I wanted to show that page tabs don't have to be used just as tabs. I usually always cut them apart and use them in a different way like on this layout. The "Play" tab from the Hello 2014 Snipsnip Page Tabs I cut in half added some dimension with a foam square and then stapled it to the page. I hope you've been inspired not only by the quick and simple but also to think of different ways to use your Evalicious products next time you use them. Such a fun page, I love the look of your stitched border!